Stewart joined United from Whitburn Rovers. He spent most of his time with United in the reserves and was released in April 1960. United were promotion bound but found the Loons' defence a tough nut to crack on a muddy Tannadice pitch. 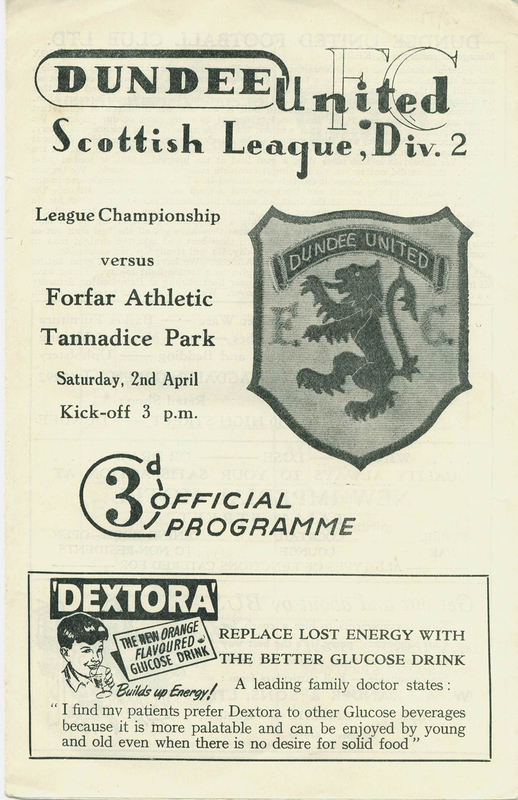 It took 23 minutes for United to open the scoring when Gibby Ormond touched an indirect free-kick to Tommy Campbell, who smacked the ball home via a post. It wasn't until the 56th minute that United increased their lead. Bobby Norris crossed from the right and Tommy Campbell headed in his second. Three minutes later the United centre, Tommy Campbell completed his hat-trick with a low shot into the far corner. Dennis Gillespie completed the scoring with a header from a Norris free in the 65th minute.